Home / Competitions / Concert / Hi FM / James Blunt: Tickets winner! Well it's the end of the month and I did say I would announce the winner today. 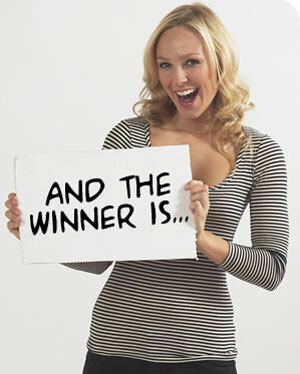 Firstly, a record number of you entered for the free tickets - always nice to know more are having a go at winning them! Congratulations! An email has been sent to you with instructions on how to claim your free tickets! For the rest of you, commiserations, but thank you for entering! 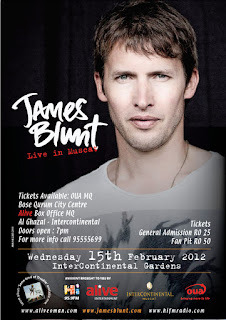 I'll be giving away more tickets shortly (but not for James Blunt) so be sure to check back here soon! Tickets are still available to purchase from the MQ box office, Bose store in QCC and the Al Ghazal pub at t'InterCon. Im Beautiful and He's Beautiful!!!! Thanks my dear...for this wonderful Valentine's Gift. Is Leonard Cohen going to grace tyhe shores of the GCC?? Preferably in Oman - Perlease!!!!!!! Yes Dennis, right after Abel Steinberg and Yitzak Finkelstein have been through town! Lover Lover - is that the same Yitzak as Yitzhak Rabin who came to Oman in 1994 as a warm up act for Shimon Peres who came to Oman in 1996. No, a different one. You can tell by their last names being different.